Winning Gymnastics is dedicated to helping gymnasts train, and gymnastic coaches teach, the most effective techniques to create championship winners. Founded by Dr. George, Professor Emeritus, Department of Kinesiology, University of Louisiana, our goal is to give you the tools to achieve success in gymnastics competition. Dr. George has been a prolific writer and researcher. 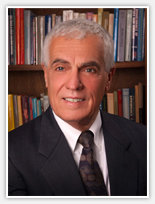 He has served as author, contributor, and/or Senior Editor to over 10 textbooks and 120 article publications. Dr. Gerald George's NEW book, Championship Gymnastics: Biomechanical Techniques for Shaping Winners is available now! Order your copy today!